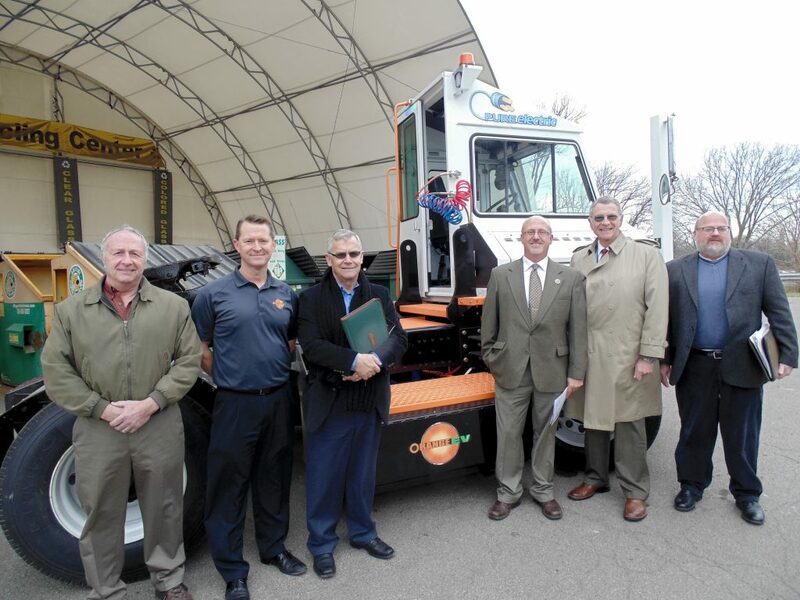 KANSAS CITY, MO and MAYVILLE, NY, December 6, 2017 – Orange EV and Chautauqua County today announced the deployment of an Orange EV T-Series pure-electric terminal truck at the North County Transfer Station in Fredonia, NY. Replacing a 15+ year old diesel truck with 100% electric completely eliminates yard truck emissions and diesel fuel consumption while advancing efforts to meet the energy, environmental, and economic goals established in the Chautauqua County 20/20 Comprehensive Plan. With this deployment, Chautauqua County became the nation’s first county government to introduce 100% electric, Class 8 trucks into fleet operations. 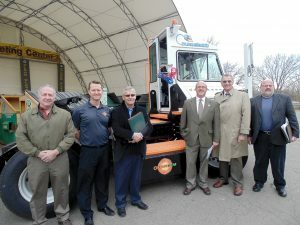 The Orange EV electric terminal truck, also known as a yard jockey, spotter, or yard truck, was purchased at a discount enabled by New York State’s voucher incentive program. In New York State, fleets have been purchasing Orange EV’s pure-electric terminal trucks for about the cost of a new diesel. From the first day of operation these fleets have been saving up to 90% on fuel and reducing maintenance and repair costs, while realizing a range of health and safety benefits. Chautauqua’s new electric yard truck, which is shuttling trailers at the North County Transfer Station, is expected to work through a full shift on a single charge.